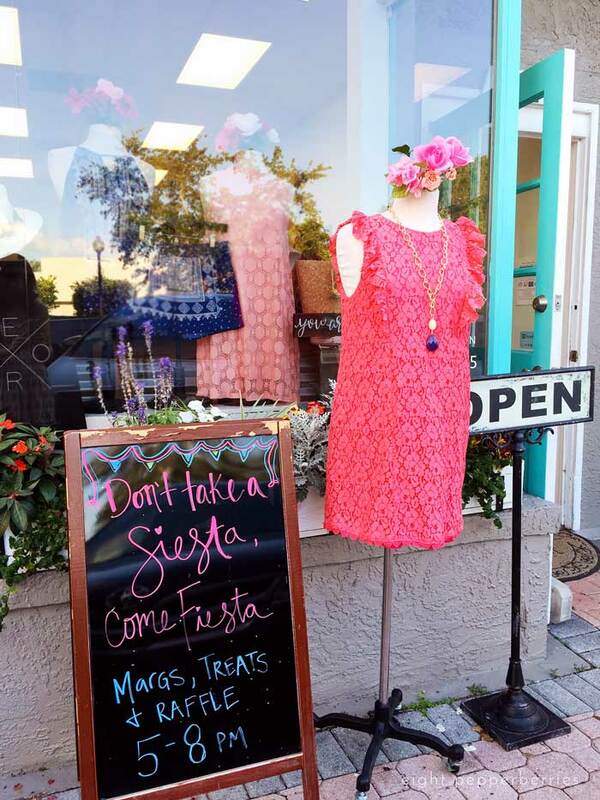 A few weeks ago my sweet friend Audrey from Seahorse Lane Boutique asked me if I would like to be apart of their Cinco de Mayo Fiesta. I had so much fun at the Galentines Night Out that we had planned together that of course I said yes! And not to brag, but I do make a killer margarita. 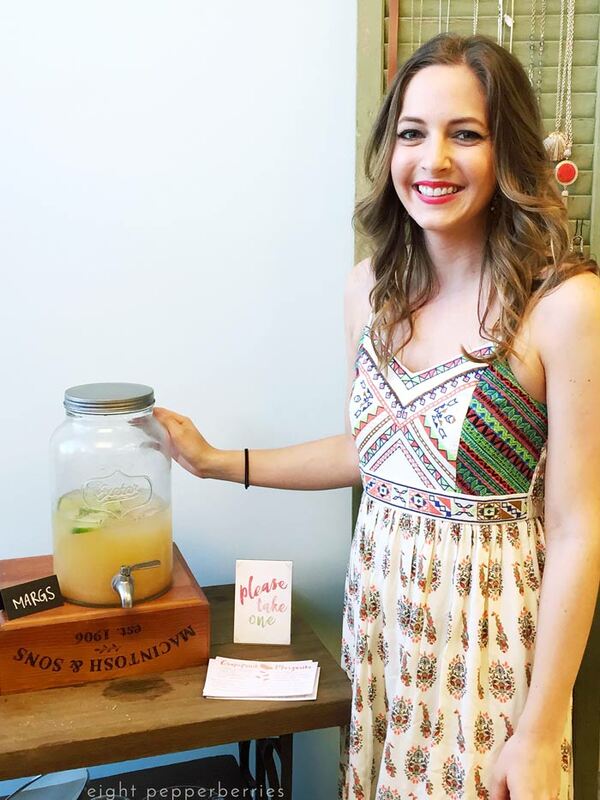 Side note: Perhaps one day I’ll start a margarita series seeking out the yummiest margarita recipes, it’ll be a rolodex containing only the best of the best – in my mind not all margaritas are created equal. And that premixed margarita mix you buy at the store, don’t get me started on the yuck factor. Anyway, back to these yummy grapefruit margaritas. They have the right amount of tartness and the bubbly from the sparkling water adds a nice refreshing touch. They can be made by the pitcher, great for those afternoon summer bbq’s. Or make yourself one and relax with a book on the back porch – now that’s a weekend treat. 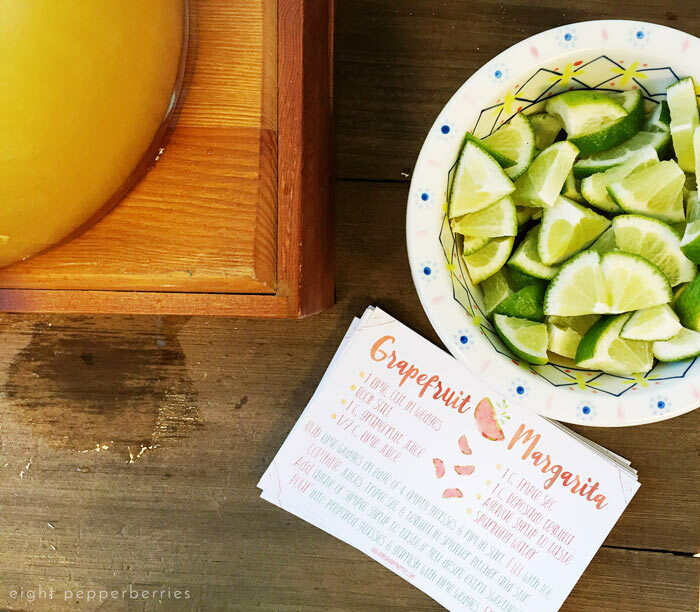 The secret to making an amazing margarita is fresh juice, the fresher the better. Let’s all take a moment to put our hands over our heart and repeat, “I promise to not use store bought margarita mix”. If you are in a pinch, sure go ahead a use it, but I’m telling you once you’ve nixed the store bought mix you’ll wonder why you even bought the stuff in the first place. Invest in a citrus squeezer (they’re relatively inexpensive) if you don’t already have one, it’s a kitchen staple in my home. Typically I use store bought agave syrup or simple syrup for these grapefruit margaritas. However if you do not have either on hand you can make your own simple syrup at home. Ready to whip up your own batch? Rub lime wedges on edge of 4 empty glasses and rim in salt. Fill with ice. Combine juices, triple sec, and tequila in a small pitcher and stir. Add agave or simple syrup to taste for extra sweetness. Pour in to prepared glasses, top with sparkling water and garnish with lime wedges. Yum these are the best! 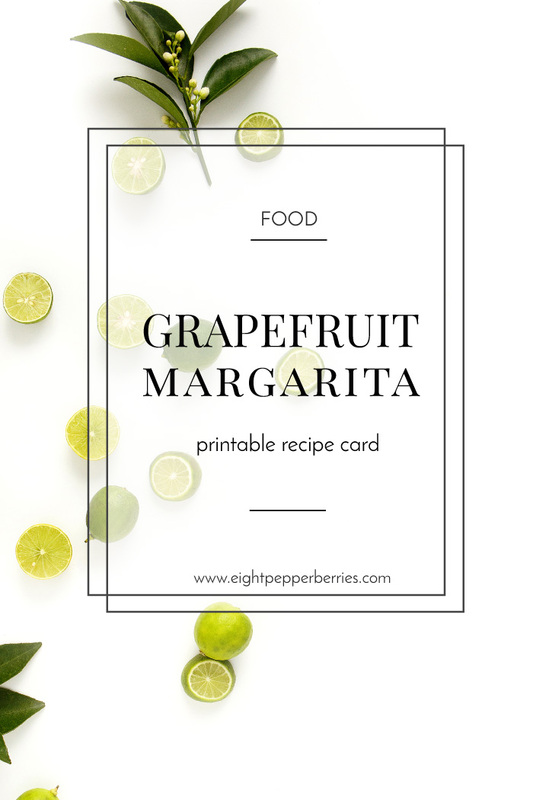 I’ve made a free grapefruit margarita printable recipe card! There are two 6×4 recipe cards on each sheet. Just download + print on your favorite cardstock. It would be super cute to give it along with a margarita making kit as a birthday or hostess gift!